So, you started your own business and everything is going great. Then, some competition moves in a few miles down the road and you start to notice some customer attrition. You’d like to be able to offer your customers some additional services, maybe even a loyalty program to win them back but you’d need all new software to make this happen. The only problem is that you’re entering your slow season so cash flow will be tight for a few months. Financing rather than purchasing new software could be a great solution to help you manage your cash flow. Or, maybe you’re just looking to make some capital investments as the economy is improving and you want to be ahead of the game. 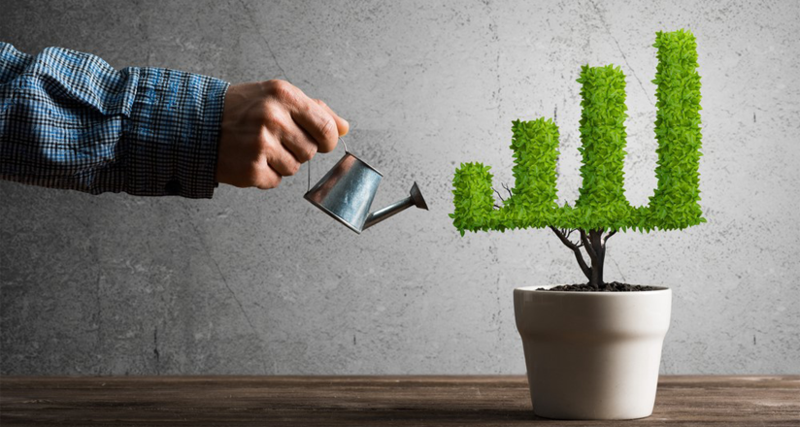 Financing can be a great option here as well, as it allows you to quickly get the equipment or software you need and start generating revenue right away. How long do you need the equipment for? Generally, leasing is a better option for equipment needed for less than 2 ½ years. Longer term needs can benefit from either a lease or loan. What’s your monthly budget for equipment? Leasing will provide lower payments than a loan. How fast is the technology moving for this type of equipment? Leasing allows you to upgrade and/or replace earlier and some programs will allow for upgrade/replacements within the current lease term. How broad is the need for the equipment across your company? If the equipment will only be used for a certain project, it makes sense to end the expense when the income from it ceases, which a lease allows you to do. 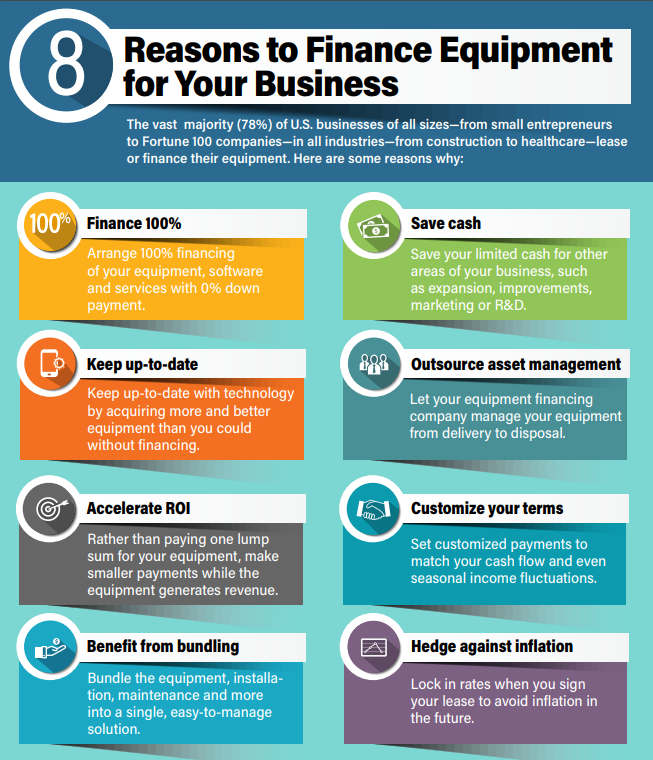 Find an equipment finance partner who understands small businesses. It’s helpful to work with a finance provider that gets the ups and downs of small businesses and maybe even has some expertise in lending within your particular industry. This not only helps them find you the best solution but can also allow more flexibility in terms/fees etc. You can also view a side by side comparison on the Equipment Leasing & Finance Association Lease/Loan Comparison page or check out their Equipment Finance Advantage portal that contains tools, articles and other helpful information for small businesses considering equipment financing including their digital toolkit. On a final note, you are not alone if you’re still unsure about what financing options would be right for your business. Many small business owners are not sure about what they can afford or even their business’ short-term and long-term goals. A trusted financing partner will be able to walk you through your options to find what’s best for your business. Also, it goes without saying that having a solid business plan in place can provide a roadmap for your business to ensure a profitable future.